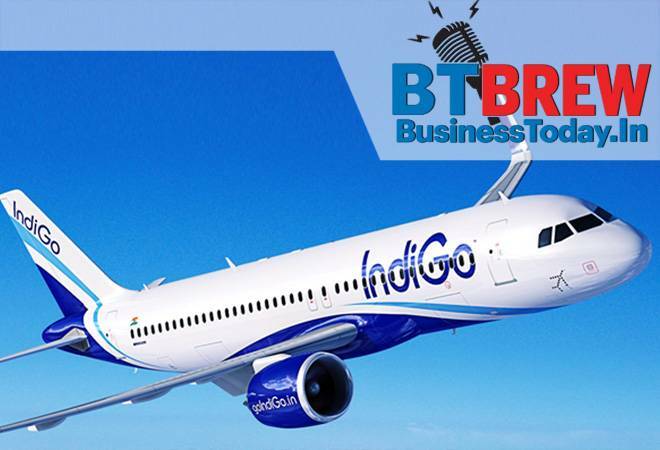 The Directorate General of Civil Aviation (DGCA) has ordered the grounding of 11 Airbus A320neo aircraft operated by budget carriers IndiGo and GoAir that are equipped with Pratt & Whitney PW1100G engines with certain serial numbers. The regulator's directive came just hours after yet another mid-air incident. An IndiGo aircraft with the affected engine on the Ahmedabad-Lucknow route developed a mid-air snag shortly after take-off, that forced it to return to Ahmedabad. According to a senior DGCA official, of the 11 planes to be grounded, eight are operated by IndiGo and three by GoAir. Looks like the effects of demonetisation and Goods and Services Tax are dissipating. According to a report in the Business Standard, industrial activity expanded 7.5 per cent in January, up from 7.1 per cent in December. This is the third straight month that industrial output has expanded by more than 7 per cent. Retail inflation, measured by the consumer price index (CPI), moderated to a four-month low of 4.4 per cent in February, aided by a fall in the price of pulses and moderation in vegetables, led by onion. Headline inflation is now lower than the Reserve Bank's monetary policy committee (MPC)'s forecast of 5.1 per cent for the March quarter. However, core inflation remains elevated at above 5 per cent. Thousands of protesting farmers from Maharashtra marched into Mumbai to demand government support to address hardship in a sector that employs the majority of the country's workforce. The protesters walked 180 km from the town of Nashik to Mumbai over several days demanding waivers of agricultural loans and the transfer of forest lands to villagers who have been tilling them for decades. It was the second major protest by farmers in less than a year. Andhra Bank, already hurt by an industry-wide spillover of a huge alleged fraud at PNB, saw its shares slide to a 15-year low on Monday after authorities filed new complaints against a former director in a separate case. The Enforcement Directorate said it had filed additional charges against Anup Garg, a former director of Andhra Bank as reported by Reuters. The charges were in connection with a more than 50 billion rupee fraud case involving Sterling Biotech. French President Emmanuel Macron, who is on a four-day visit to India, joined hands with PM Modi to build the world's largest nuclear plant in India. The leaders urged Electricite de France SA and Nuclear Power Corp, India's atomic power producer to accelerate discussions on the project that has continued for a decade now already. Work on the project is likely to start by December at the site in Jaitapur, Maharashtra. In what could be another cause of worry for the beleaguered real estate developer Unitech Limited, the Supreme Court said that it will auction unencumbered assets of the embattled realty major. The apex court today sought details of all unencumbered assets of Unitech. Coming as a relief for Unitech homebuyers, the Supreme Court said the auctioned assets will be used to refund money to home buyers.